Infrared line cameras have been used successfully for many years in temperature-sensitive processes, for example in the metal and glass industry. The temperature profiles measured thereby provide data to ensure the quality of the process continuously and to improve it. In addition to the high accuracy in the non-contact temperature measurement, the speed during measurement is also an important factor. 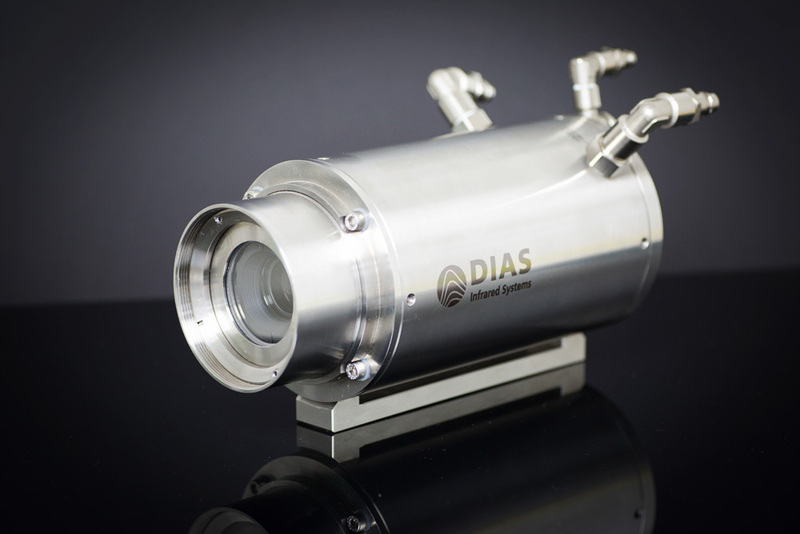 DIAS Infrared has extended its proven PYROLINE line camera series with newly developed versions. For the measurement of temperature profiles between 600 °C and 3000 °C various device variants with 512 measuring points are now available. The standard line camera PYROLINE 512N measures 256 lines per second. The high-speed version PYROLINE HS 512N is extremely fast with 2000 lines per second. 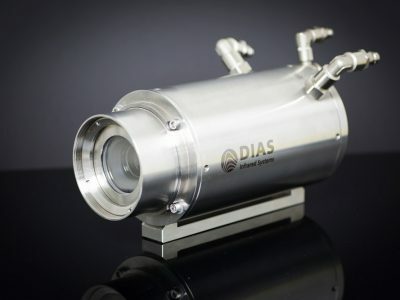 To reduce emission-related temperature measurement errors, these devices operate in the near infrared range (NIR) between 0.8 μm and 1.1 μm wavelength. Core of the new PYROLINE line cameras are linear high-dynamic Si arrays, which allow particularly long, continuous temperature measuring ranges from 600 °C to 650 °C to 1500 °C or optionally from 1400 °C to 3000 °C. The protection and compact+ versions are available as camera housings. The protection housing is a stainless steel industrial housing (IP65) with water cooling air purge and protective windows. The compact+ version uses an aluminum housing (IP54). Real-time data transfer is realized via Fast Ethernet to a PC. Stand-alone operation without PC coupling is possible. Electrically isolated digital outputs (alarm) and inputs (triggers) are available in each device. A multitude of lenses with up to 90 °C opening angles allow optimal adaptation to the most diverse measurement object sizes and distances. The PYROLINE line cameras are especially robust and stable devices for 24-hour continuous operation, especially in industrial process measurement technology.